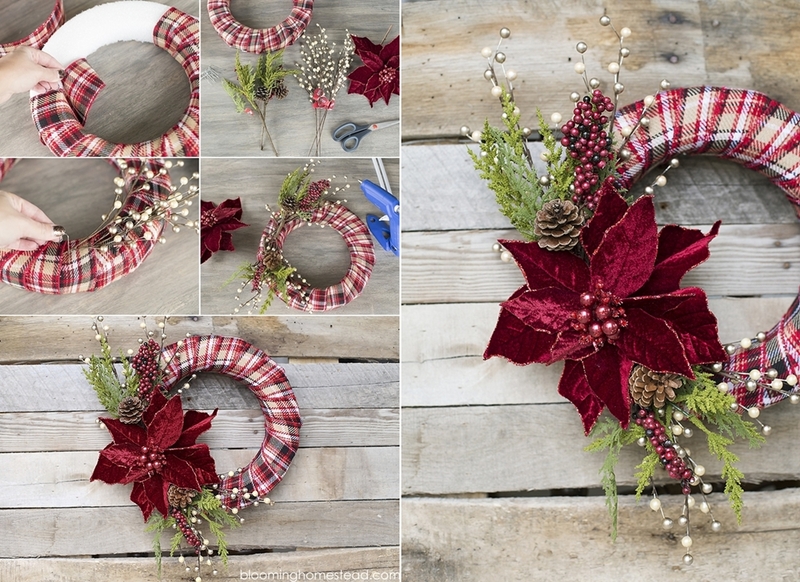 You can easily craft this wreath by wrapping a foam wreath ring with tartan ribbon. 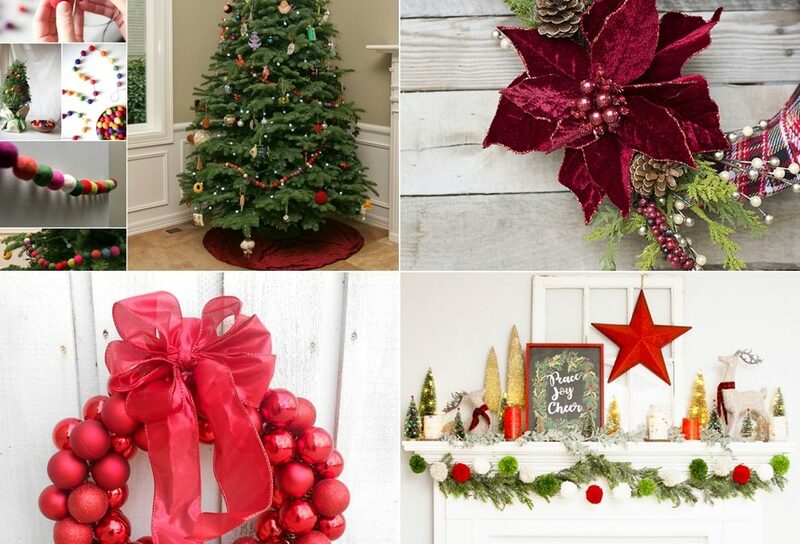 Then use a hot glue to embellish it with faux greenery, pinecones and artificial berries. Finish the look with a large poinsettia. 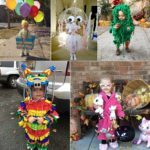 To make a garland that is cheerful yet quick you only need a pack of multicoulored felt balls, a needle and some length of thread. The recipe of salt dough is easy-peasy. You only need to mix one cup of salt with one cup of flour and half a cup of water. Knead all the ingredients into a smooth dough and then cut shapes using cookie cutters. Poke holes in the shapes while the dough is still soft for threading in twine. Cut another piece of twine in the desired length and then tie all the ornaments to it to make a garland. 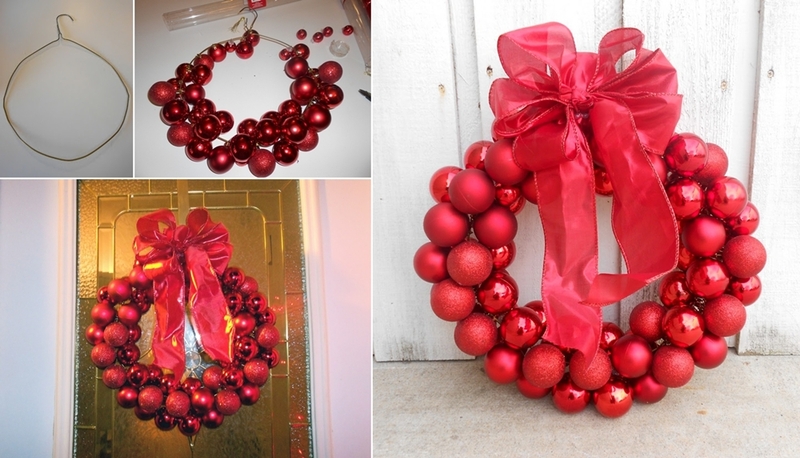 Reshape a metal wire hanger in a circle and fill it with baubles. 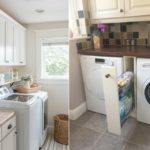 Spice it up it further with a ribbon bow and voila! 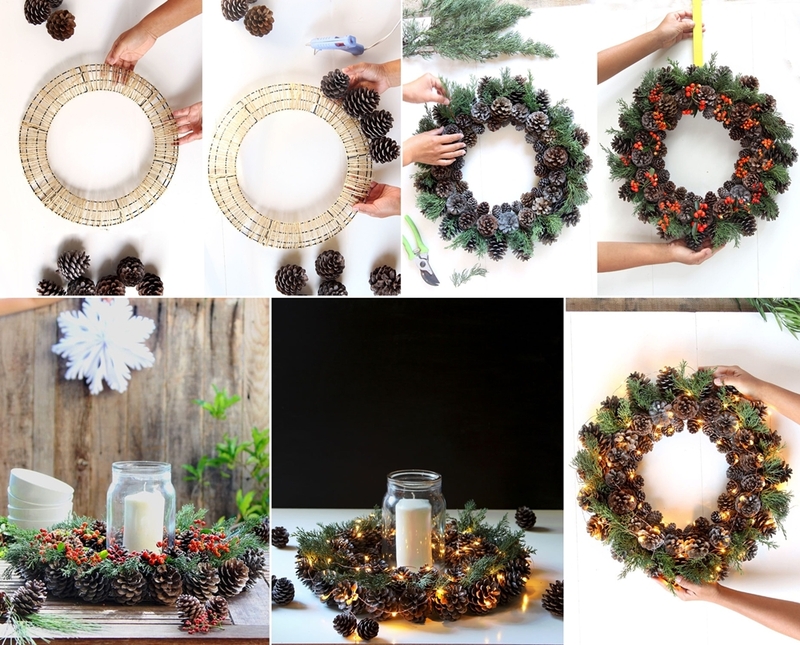 To make a pinecone wreath you have to wrap a wire wreath form with twine. Then start hot gluing pine cones till it is filled and add greenery to it. 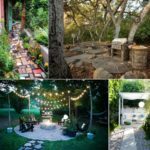 You can finish it either with faux berries or string lights or both. 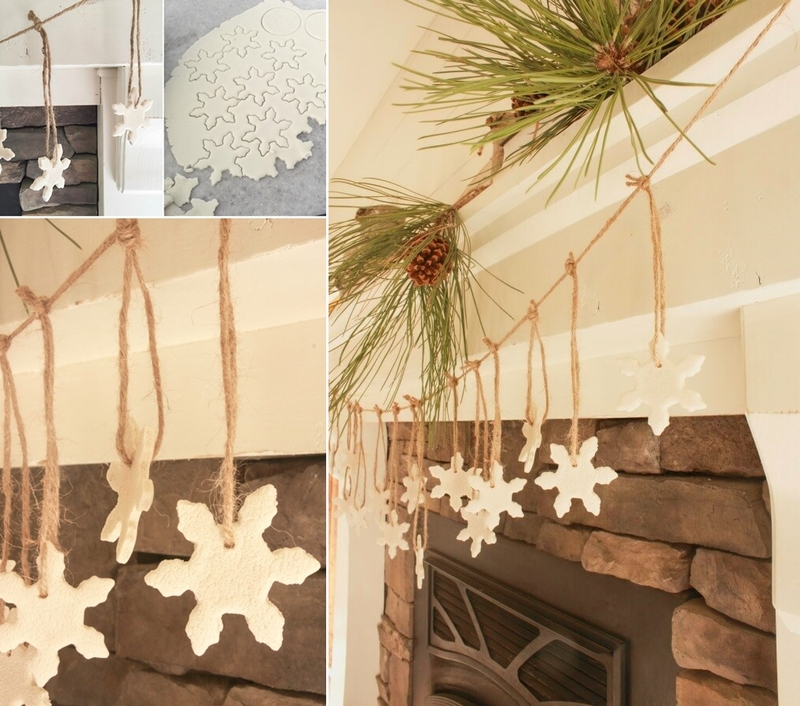 If you have a simple snow leaves garland leftover from last year then take it out and give it another lease of life this year. 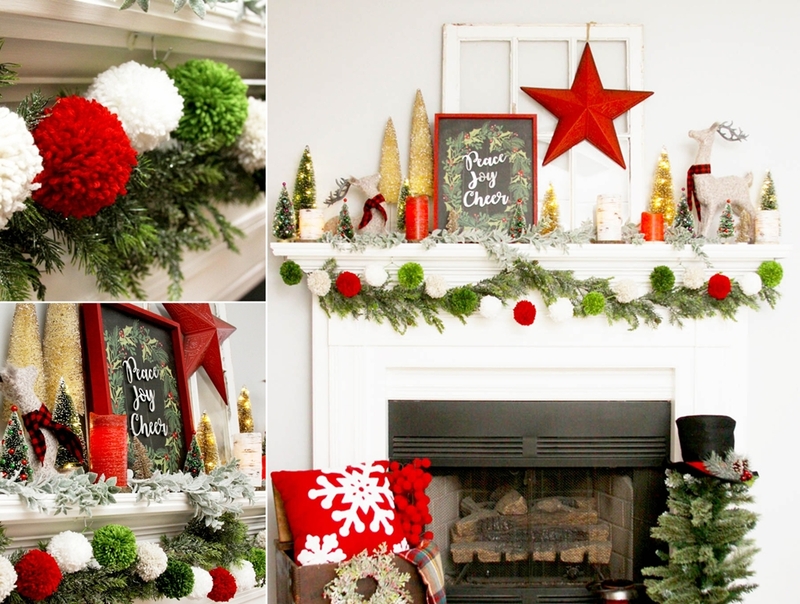 Craft some yarn pom poms in white, red and green and fasten them to the garland for a festive ‘mantlescape’. Cut some green tissue papers in the way shown and craft tassels. 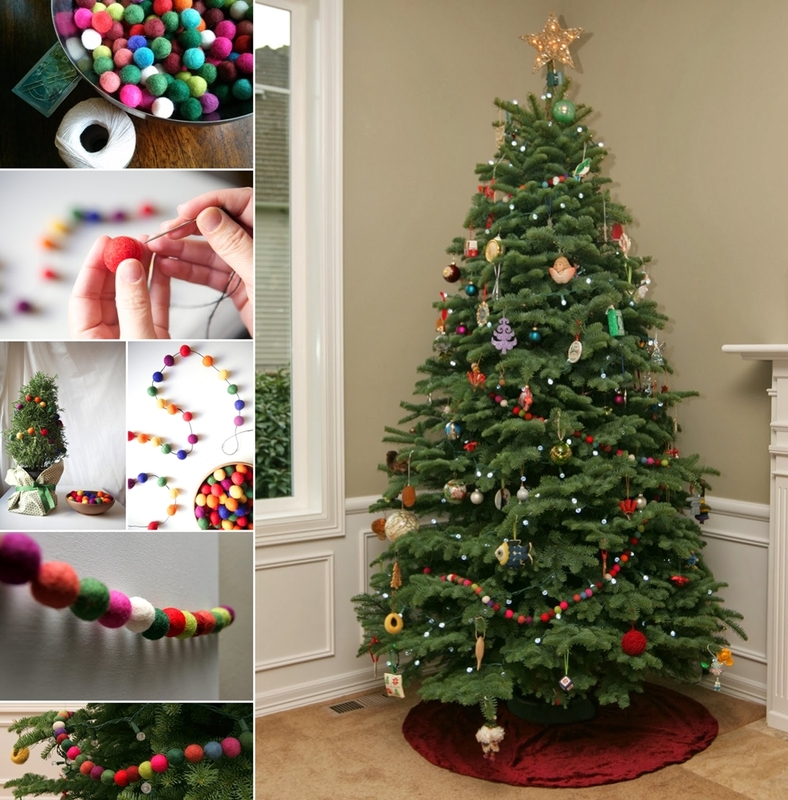 Then spiff them up with red paper dots and yellow stars to make a cute garland of mini Christmas trees. 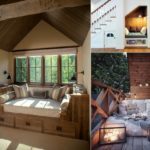 Something different for those who like the idea of creating an unconventional wreath this year for their front doors, decorate an empty picture frame with baubles, ribbons, berries and leaves. 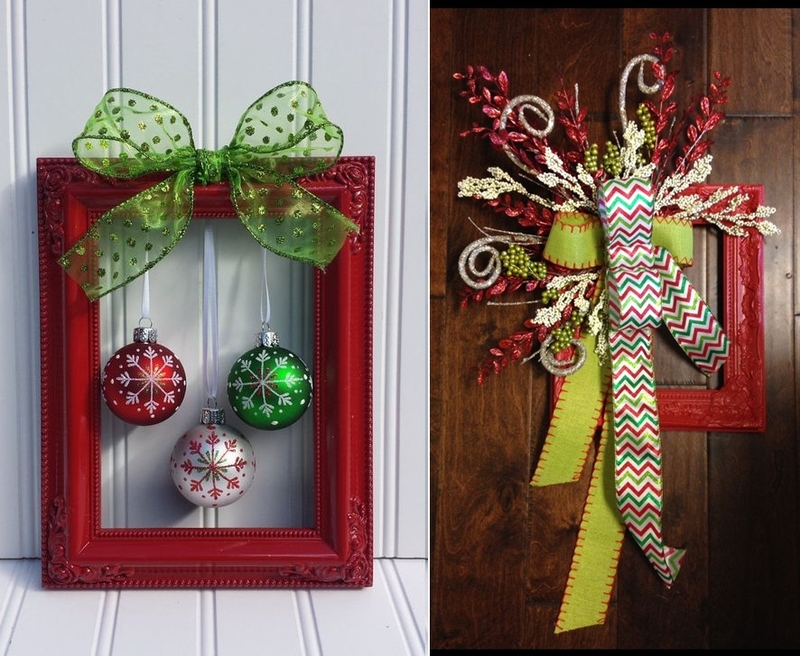 Embrace your creative side by crafting a Christmas wreath with peppermint candies. 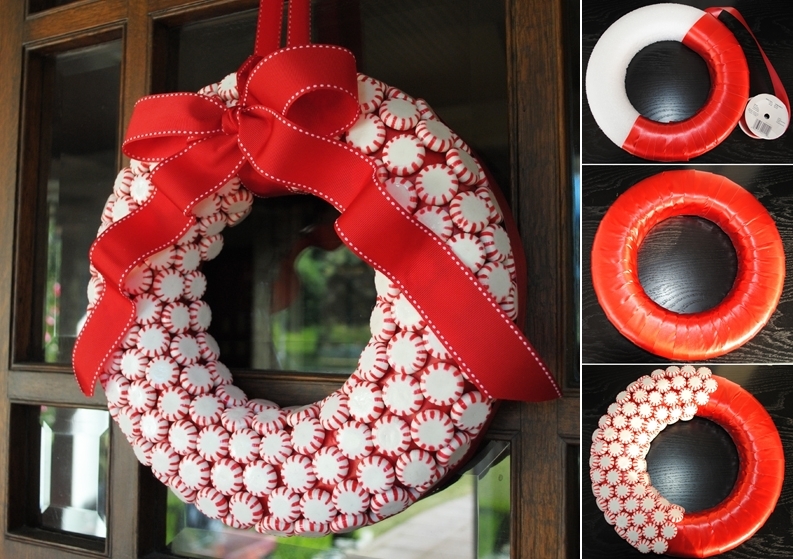 Hot glue the peppermints to a ribbon wrapped styrofoam wreath donut and beautify further with a red ribbon. 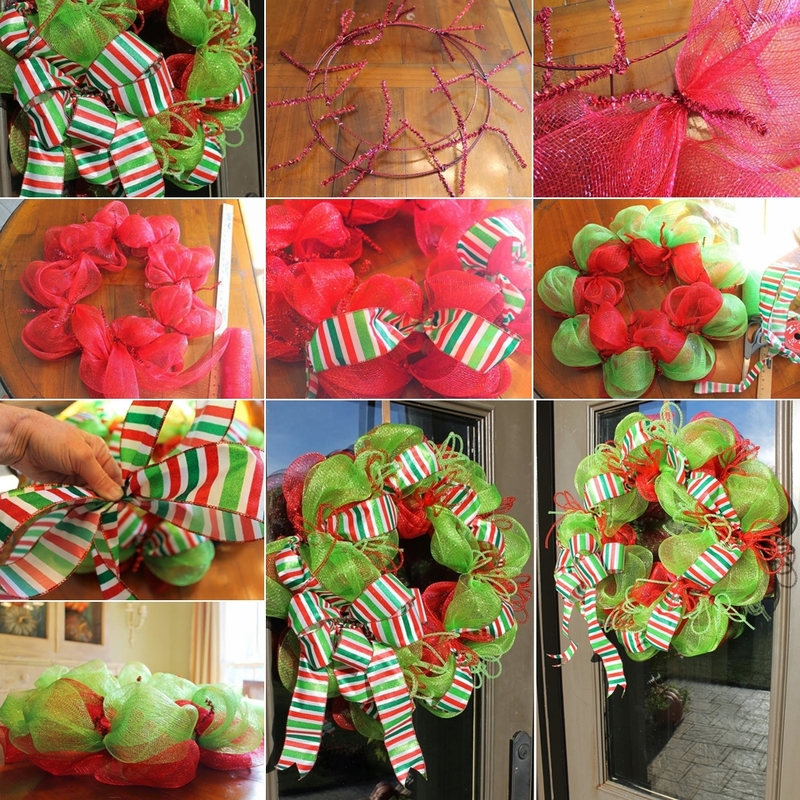 Tie loopy bows of deco mesh to a wire wreath base and then complete the wreath with a striped ribbon.